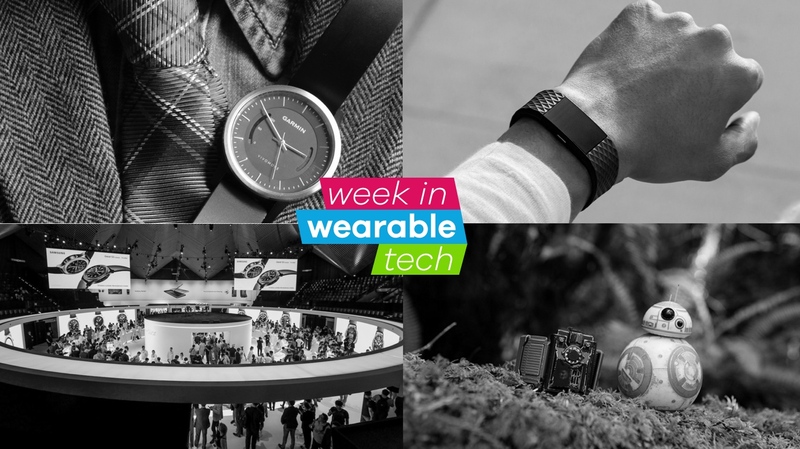 Welcome to the week in wearable tech, our weekly round-up of the stories you simply can't miss. It's been a massive week for wearables – predictably fitness trackers and smartwatches in particular – as IFA 2016 got underway in Berlin. We've tried to keep IFA announcements to a minimum here and round-up all the other important stories of the week too. Enjoy. IFA 2016 was the big story of the week and wearable tech dominated the show's big announcements. IFA is now the biggest tech show in the calendar, with companies using it to unveil their Christmas line-ups. While Fitbit stole the headlines early in the week ­(more on that shortly), IFA saw the official unveiling of the Samsung Gear S3, which appeared in two variants, the S3 Classic and S3 Frontier. Elsewhere, Withings impressed with the Steel HR smartwatch, Asus updated its line-up with the ZenWatch 3 and TomTom introduced the Touch its first fitness tracker, which uses bioimpedence technology to track your body fat. Check out our full round-up of wearable tech that debuted at IFA and why we believe the show signalled the death knell for the ugly smartwatch. Before Wareable even landed in Berlin we had two new Fitbits to enjoy, as the company updated its fitness tracker line-up. The Charge 2 and Flex 2 both herald new technology. The former adds VO2 Max analysis and breathing exercises tracked with HRV tech, while the Flex 2 is the first swim-friendly Fitbit offering lap counting and calorie reporting. Check out our first look Fitbit Charge 2 review and Fitbit Flex 2 reviews, and read our guide to the best fitness trackers. Amazon Echo coming to the UK? The week was also busy for Amazon, which looks like it could bring its Echo smart home speaker to the UK. An event is set for 14 September, which could see Echo leave US shores for the first time. Elsewhere, the company has released its Dash smart buttons in the UK. Check out our Amazon Echo review and our essential guide to the best Amazon Echo skills. While fitness trackers go from strength to strength, there's growing evidence that hybrid smartwatches could have a bright future in wearable tech. CCS Insights' report this week concluded that amid stuttering traction in the smartwatch industry, smart analogue watches such as Fossil's Q range will fuel the next wave of growth, thanks to fitness tracking and six-twelve month battery lives. Check out our round-up of the best smart analogue watches as well as an in-depth look at Fossil's latest Q Marshal and Q Wander Android Wear devices. Sphero's BB-8 wearable has finally got a release date and it's due to drop on 30 September. As well as controlling the BB-8 droid with waves of your arm, there's also a Pokemon Go style game, in which you can collect 'holocrons' such as lightsabers and ships, which can then be wielded via the band complete with sound effects. Check out our in-depth look at the Sphero BB-8 Force Touch band and our best smartwatches for kids round-up while you're at it.